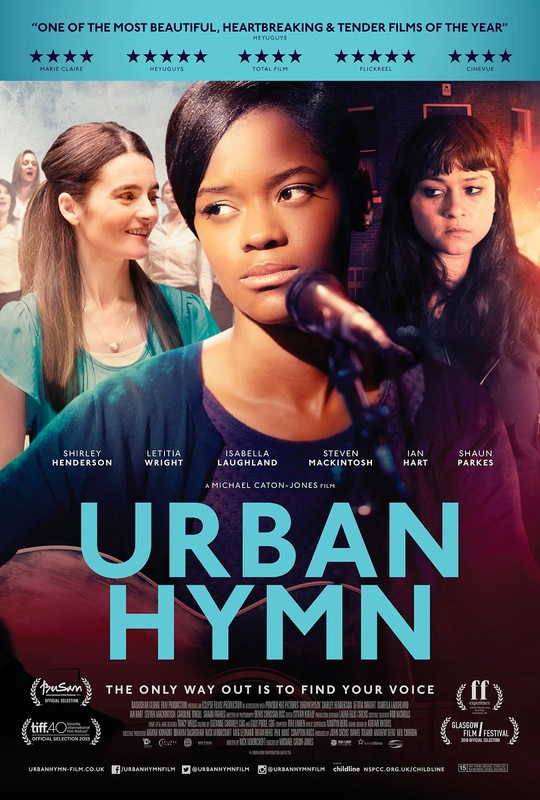 "Set against the backdrop of the 2011 England Riots, the film follows a neglected and volatile female offender, Jamie, who possesses an amazing singing voice and is torn between her loyalties toward her inspiring, unconventional care worker, Kate, and her possessive and volatile best friend, Leanne." Urban Hymn is an emotionally charged film about a wayward teen that learns to channel herself constructively through singing as the world around her falls apart. The movie is a powerful message of redemption with strong actors albeit a fairly predictable plot that is not entirely original in concept or production. Letitia Wright as the lead Jamie Harrison, just kills it, in both her performance and in the musical portions of the film. Overall, I enjoyed everyone's performances, including the other two leads in Shirley Henderson as Kate Linton and Isabella Laughland as Leanne Dixon. The film gives a strong and deep look at the troubled youths of London which stories can be taken as universal to any large city. However as mentioned before, the story is somewhat predictable as the Director mostly plays it safe despite the volatile nature of the subject matter. Overall, I would still recommend watching if you have the chance to come across it if only to catch the great performances by Letitia Wright and the others. Additionally the soundtrack with its original music was also good but a little subdue. While you won't be blown away by the film, it will make for a good distraction on a lazy evening.